The Government has released its conservation and environment science priorities for the next 20 years. The Roadmap is produced by the Department of Conservation, Ministry for the Environment and the Office of the Prime Minister’s Chief Science Advisor, Professor Sir Peter Gluckman. 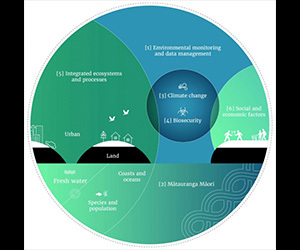 The full list of priorities is in the Roadmap on the Ministry for the Environment website at: http://www.mfe.govt.nz/more/about-us/conservation-and-environment-science-roadmap. An MPI roadmap is currently being developed and will be released mid-year once it has gone through Cabinet.